I like cats and yoga and human rights. I don’t like spreadsheets or people who don’t use turn signals. You just wrote a novel. Can you talk a little bit about what inspired you? Are you planning a second? I’d always wanted to write a novel, but I had issues with self-discipline. I’d always written sporadically: journal entries, blog posts, poetry, and short stories, but I had this idea for a bigger story and it kept pestering me to be written. The idea came from seeing the effects of inequality up close, first in China, where I taught English from 2008-2010, and then in my experience in Teach for America, from 2013-2015. The idea for Unregistered had been in my mind since 2008, but I only started writing it when I got back into the in-depth view of inequality in 2013. 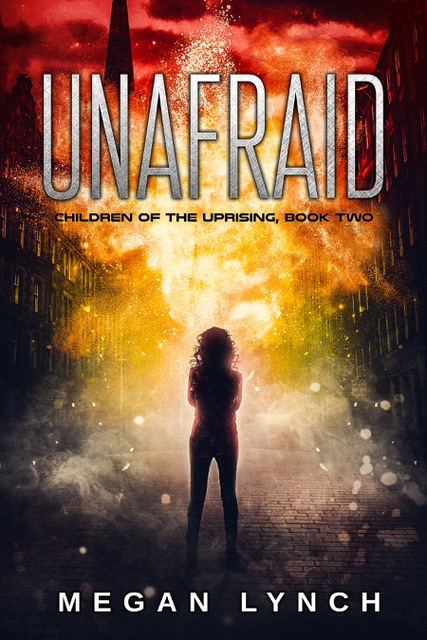 I started writing Unafraid, the sequel to Unregistered, before I’d even sold the first manuscript. That goes against all the advice you normally hear in the industry, (“Never write a sequel until you have a publisher for your first book!”) but by that time, I knew it was a series. And just like the first, Unafraid was just asking to be written. What is something you have learned in the writing process? The biggest lesson I’ve learned is that while inspiration is nice, it is not to be relied upon. Writing a novel, at least for me, is very similar to training for a marathon: you need a calendar, you need to log your progress. If you feel like writing that day, good for you! If you don’t, well, you still need to show up and put the work in. And the more you write without inspiration, the more often you begin to find it again. More books! I think I was so obsessed with proving to myself that I could get published if I put in the work that I didn’t allow myself the time to polish my drafts, then set them aside for years and pick them up again. I did work on Unregistered for four years before it was published, but since I was really learning how to write a novel at the same time I was drafting it, there was so much work to do that I never really stopped during that whole time. I’m drafting the third and final installment in the Children of the Uprising series right now. After that, I’d like to write another novel, then really take my time with it, putting it away and getting it back out for years until I send it out on its own. My children, both literally and metaphorically. I used to wake up early to write, but they caught onto that and always want to get up with me to hang out and eat breakfast. They’re young—2.5 years and 7 months—so they’re completely dependent on me for everything. I’m just enjoying the ride. I know it won’t be like this forever, so I’m trying to enjoy my baby’s sweet morning milk breath and my toddler's floppy hugs. Go for the things [you] want, even if it seems impossible. Most of the time, it doesn’t hurt to try. In the writing world, the lag between the work and the pay-off for that work (whether that’s actually seeing your book in print or your first royalty check) is years away. Try anyway. Show up to the work you love to do, and have faith that the end goal will take care of itself. My grandmother is a very influential person in my life. She’s a brave lady, in her own quiet way, and she’s the only person I’ve ever met who is truly non-judgmental. She chose a traditional role in her family (stay-at-home mom and homemaker) but she was my biggest cheerleader when it came to my education and ambition. Hearing and reading stories is how we feed our empathy. As far as I’m concerned, how we treat people—especially those who are different from us—is what is most definable about ourselves as humans. You may think your idea is trite, or that your experiences are boring, but they can really help other people because they haven’t had the benefit of your perspective. It’s a little off-topic, but I’m proud that I gave birth to both of my sons naturally and at home. People will tell you that “you don’t get a medal” for not medicating yourself and it’s true, but as someone who would faint at the sight of blood, it took a lot for me to make that choice for them. I’m happy that they were both welcomed into the world calmly and I was able to give them an easy transition into this existence. On my blog, my birth stories are the most popular posts by far, and I like to think it was because I was so euphoric when I wrote them. No. Well, Yes! But there are so many. I love Mere Christianity by C.S. Lewis, The Secret History by Donna Tart, The Handmaid’s Tale by Margaret Atwood, 11/22/63 by Stephen King, and many, many, many others. The Avett Brothers will always hold a special place in my heart. I’ve rolled their lyrics over on my head for years and I’m always blown away by their poetry. Nashville also did a job on me and made me love old country and bluegrass. My current favorite is “Creativity is intelligence having fun.” That one’s from Albert Einstein. Show up, do the work, and have faith. And try to have some fun along the way. 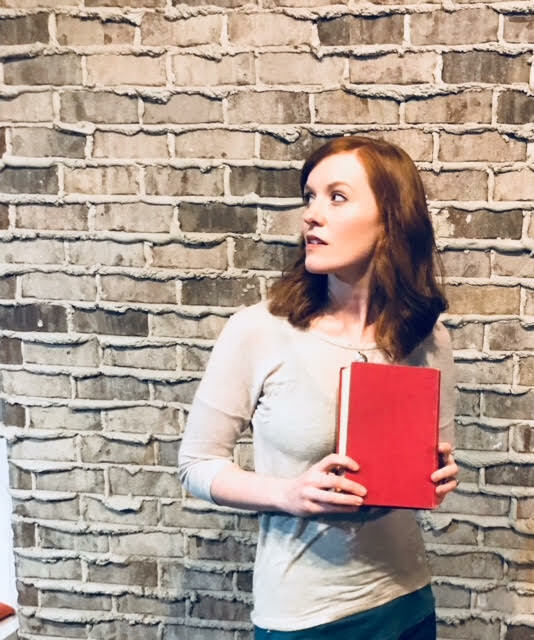 If you are interested in purchasing Megan's books you can do so here and here.